A New York City trial is challenging the Trump administration’s attempt to end temporary protected status—known as TPS—for more than 50,000 Haitians living in the U.S. Tens of thousands of Haitians were granted TPS after an earthquake devastated their country nine years ago this week. 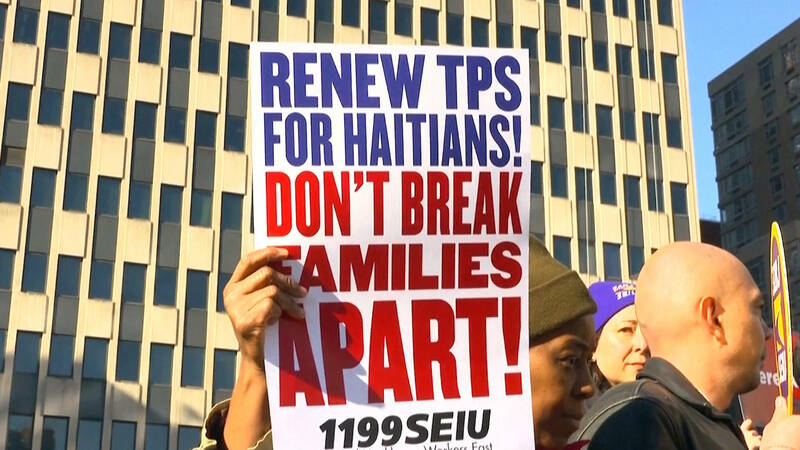 In November 2017, the Trump administration announced it would revoke TPS for Haitians, sparking protests and multiple lawsuits around the country. We speak with Marleine Bastien, executive director the Family Action Network Movement, or FANM, one of the plaintiffs in the lawsuit. She testified on Wednesday as a witness in the trial.